There is this blogger who I stalk have in my reader. Her name is Betsy. Her blog is Funky Mama Bird. She also tweets, but not a ton. She’s more of a QUALITY over QUANTITY kind of gal. (unlike some people with blogs about the Nations they rule. ahem). I love that she is eclectic. I love her quirky humor. I love her style. Betsy opened an Etsy shop about 10 months ago. Orange is one of my fave colors and paired with purple? Forget about it. Love. I immediately jumped on etsy and found her shop. And I am pretty sure I go look at this necklace at least once a week and count the days until I can start buying cute accessories again. I might have to check the couch cushions for quarters because Betsy if offering a 10% discount at checkout to all of us! Just enter sluiternation10 for your discount! Woot! You so want it, don’t you? 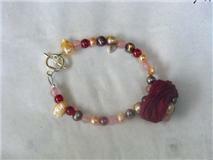 Betsy has generously offered to give this lovely bracelet to one of my FABULOUS readers! Leave a comment telling Betsy and me what ELSE you love in her shop. 2. You can follow this blog via GFC, your reader, or an email subscription. Make sure to leave a separate comment for each of the ways you enter. Each comment acts as an entry. This giveaway ends Sunday, June 26 at 4pm Est. The Legal Stuff: I was in no way compensated for this post. The bracelet I own was won in a previous giveaway. Betsy aka Funky Mama Bird is providing the spoils of this giveaway. Those twisted wire bangles are pretty and simple enough to go with anything. Love those! The bird’s nest earrings in pink are fantastic! 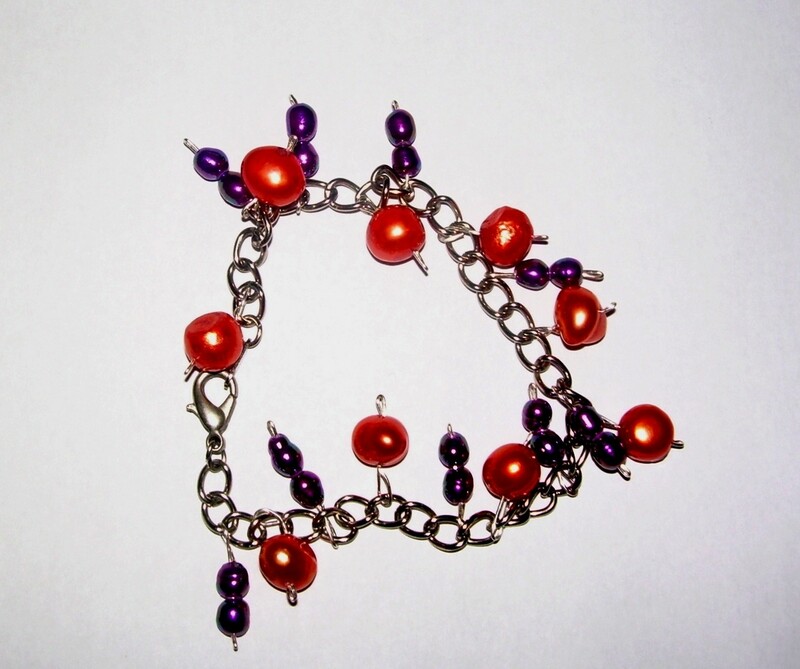 I LOVE that orange and purple bracelet up there – cute! 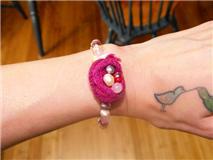 I also really like the crazy coil bracelet – it both colors, of course! I ADORE the bird’s nest pendants!!! I have an email subscription–love getting those posts on my phone every morning! I just tweeted your Giveaway. I love the bird’s nest pendants! So cute! 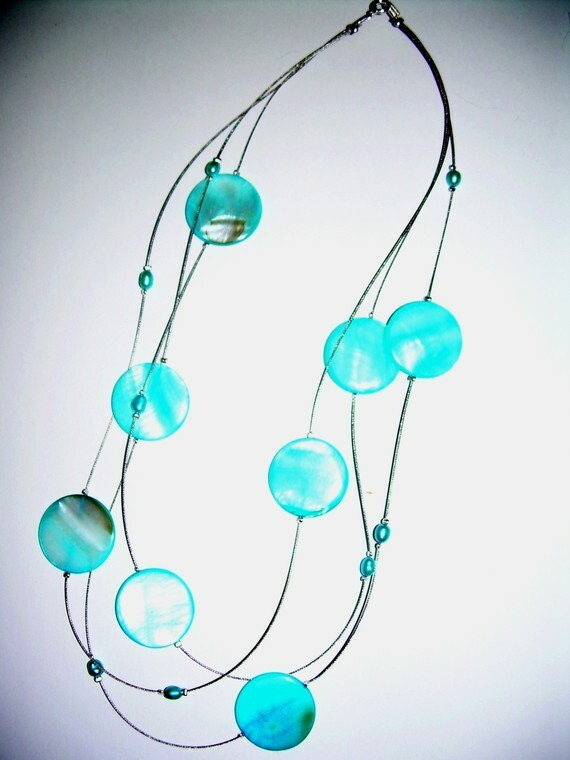 Love the crazy coiled bracelet in blue! I love her! 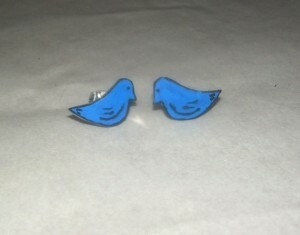 I’ve got the blue bird’s nest earrings and they are so cute. Always get compliments on them. I love the floating flower necklace!! I LOVE her stuff. Because I’m all about the birds. 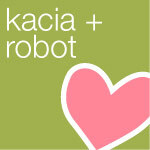 And her blog button is one of my favourites. I was looking at birds’ nest earrings in a shop last night and almost bought some but then thought, nope, I can get those from someone cool on Etsy 🙂 I’m seriously considering getting some for BlogHer 11. So that’s what I like. And I follow you via my reader, natch.